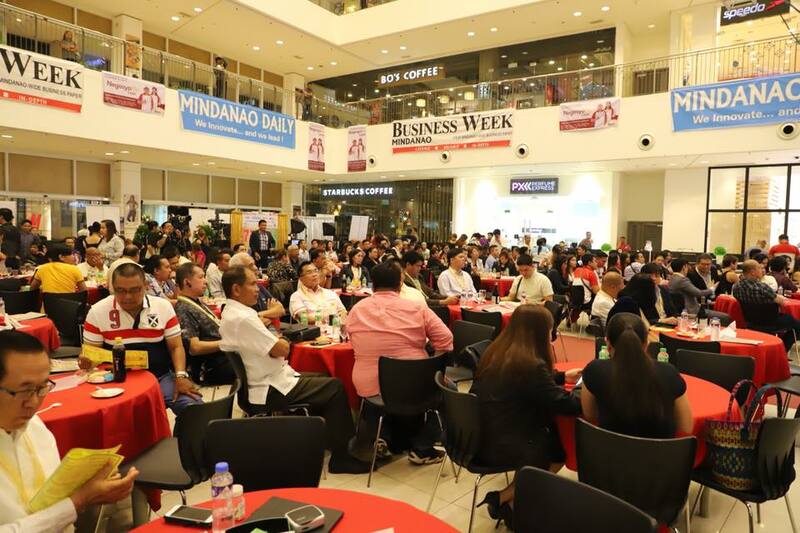 In a letter read for him by OPAPP’s Conflict Prevention and Management Unit Director Ferdinand Jovita on Wednesday at the 7th Mindanao Business Leaders and Entrepreneur Awards here in this city, Dureza said the economic progress that Mindanao is experiencing now is due to the major contributions made by the business community. 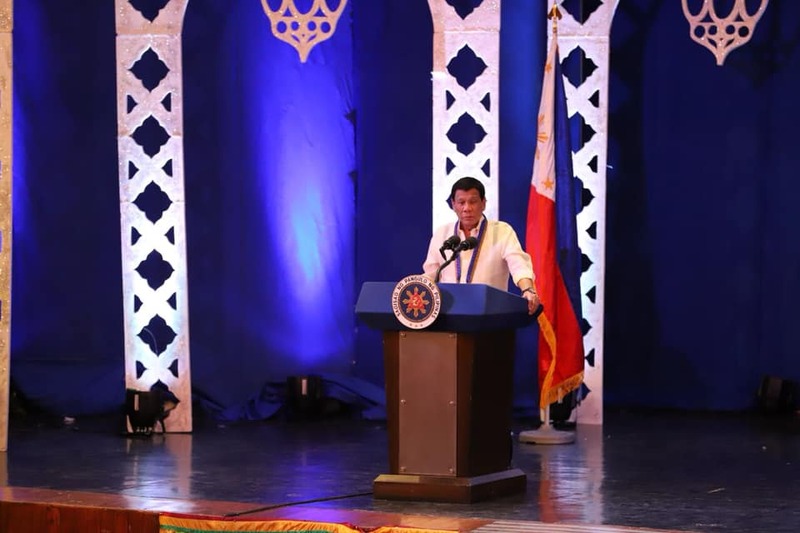 “You are the force behind the island region’s amazing transformation. 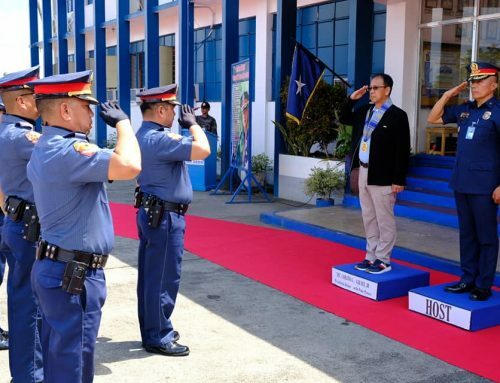 You are among the reasons Mindanao is no longer considered the hotbed of a raging, decades-old insurgency but a land of vast opportunity and promise,” Dureza said. 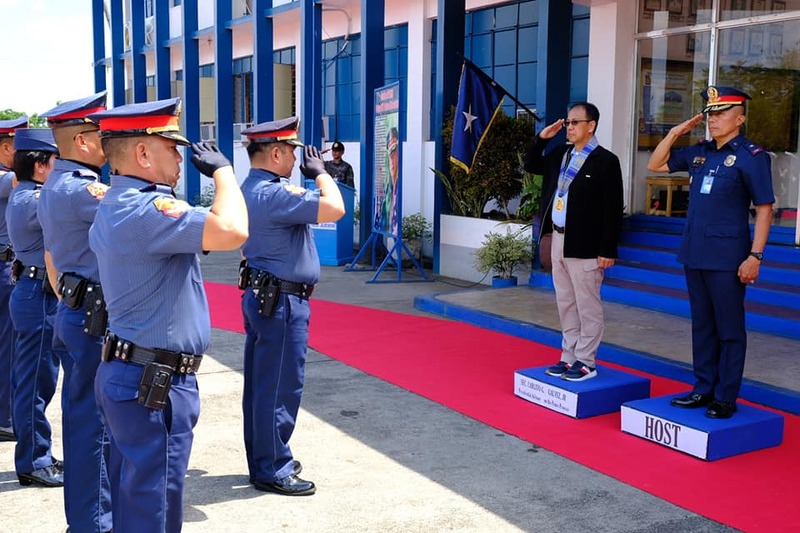 Saying peace and development must be pursued simultaneously, Dureza underscored the programs and initiatives that the government is undertaking to move peace forward especially in conflict-affected areas across the southern region. 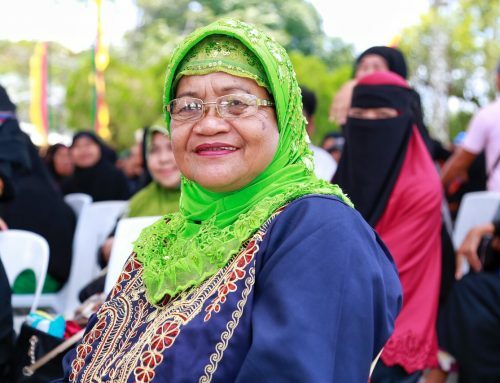 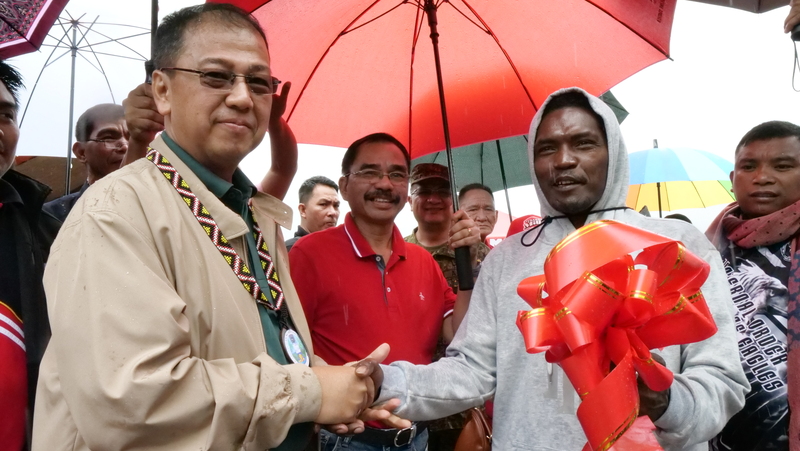 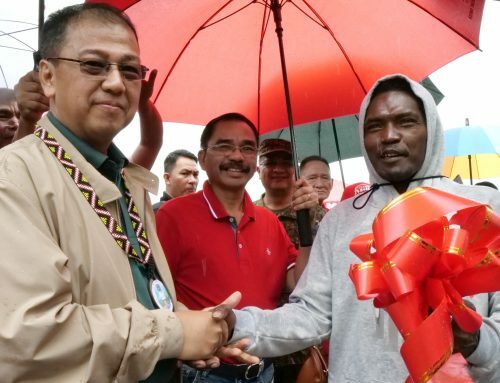 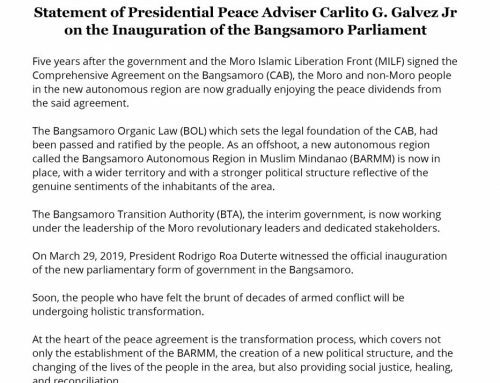 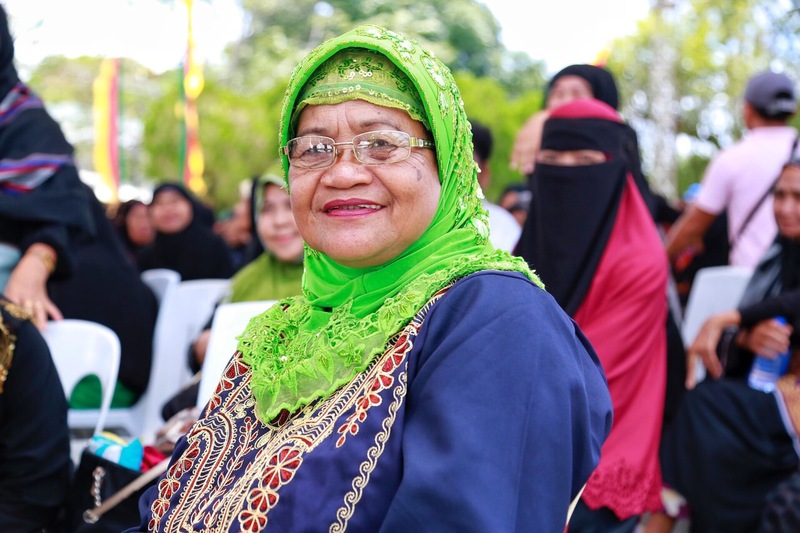 “This is exactly what we are trying to do in Mindanao, particularly in the implementation of programs and projects in conflict-affected communities. 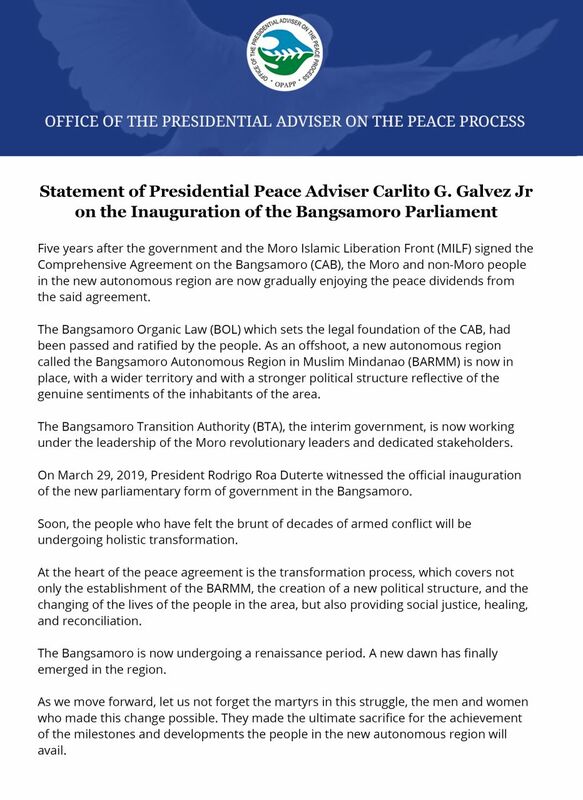 None of these development initiatives will succeed unless they are anchored on the principles of peace, cooperation, and solidarity,” he said. 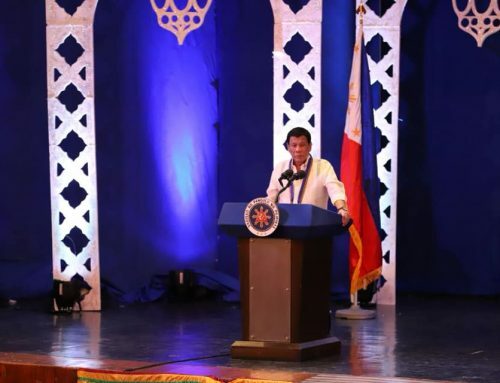 Ending his message, Dureza urged the business leaders to take a proactive role in peace building. 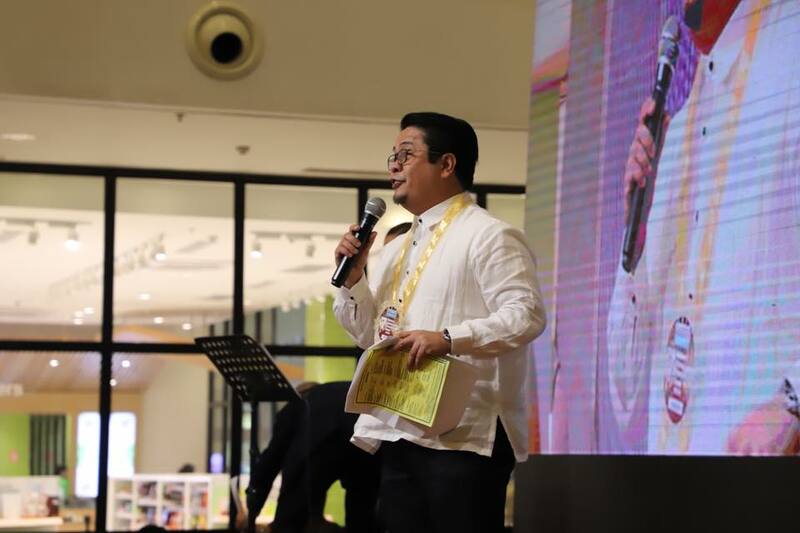 “May all of you continue to carry out your mission of not only helping create more economic opportunities for our fellow Mindanaoans but, more importantly, take part in the collective effort to bring just and enduring peace in our island-region,” he said.